The launch party was an inspirational evening celebrating the creative culture of Bozboz and affirming our affinity with the iconic city of Brighton. 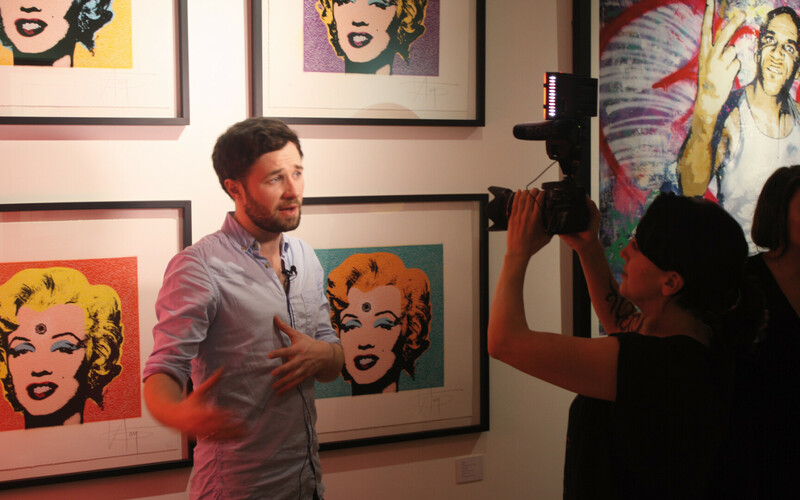 Showcasing works from the UK’s finest urban and contemporary artists, such as Goldie, Mau Mau, Illuminati, Pam Glew and Banksy, along with the faces of Brighton’s finest ambassadors, the exhibition was the perfect way to introduce our new home in the heart of the city, and open our doors to new opportunities for creative collaboration. Another defining moment in our history has been caught on digital celluloid by Laura of Brighton, featuring facetime with CEO Mike Hollingbery and curator Eddie Lock along with many others. So if you missed it, or you want to relive the buzz from the evening, here’s the video of Bozboz & Eddie Lock present The Lock Up at the new Bozboz Creative Space. Inspired? To book an appointment to view the exhibition, or to speak to us about digital collaboration, get in touch at [email protected] or call us on 01273 727581.